Seth joined Colliers’ Lehigh Valley retail team in 2017 to provide landlord and tenant representation services in the Lehigh Valley and Berks County region. He is a native of Reading, PA and currently lives in the Lehigh Valley. As such, he has a solid understanding of and familiarity with activity in the market. Clients benefit from this extensive market knowledge and his successful track record dealing with high network entrepreneurs and businesses. 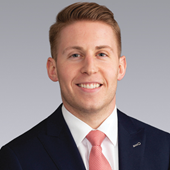 Before venturing into commercial real estate, Seth established a solid reputation as an effective sales professional at Audi Allentown being their top performer for 2016 & 2017 and later in a role as Finance Manager at Ciocca Subaru. While there, he consistently developed and maintained long lasting client relationships. Derek joined Colliers in 2006. 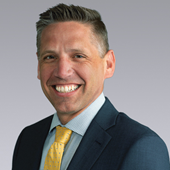 He specializes in retail tenant, landlord, developer and investor representation and has more than nine years’ experience in the retail sector in the Lehigh Valley. 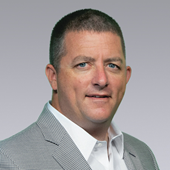 As a native of the area, he is an expert in local market conditions and recent transactions. This, combined with his entrepreneurial spirit and strategic negotiation skills, have made him a valued asset to his strong client base and a top producer. Derek is a trusted advocate for the landlords, tenants and investors he represents. His focus is on the real estate outcome that best supports their business objectives and he possesses the expertise and commitment to deliver results. As a vital member of the Lehigh Valley team, Scott’s concentrations are Tenant and Landlord representation in the Allentown-Bethlehem-Easton metropolitan area where he has lived and worked for over 30 years. He specializes in retail and restaurant uses and offers exclusive tenant, landlord, developer and investor representation services. Scott excels in location searches that meet the strict requirements of major retailers. His understanding of the demands of national tenants, balanced with the dynamics of the local market again comes to bear as he helps successfully navigate deal negotiations for his clients.